The ” Saint Louis’ Day” is the feast day of the patron saint of Sète and also the jousters holiday. More than 70 street shows and bodegas opened till the middle of the night: that’s the delirious atmosphere which knows the city. 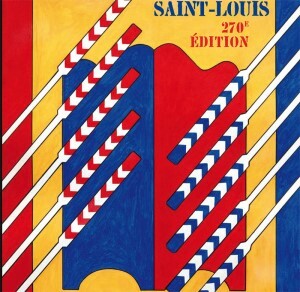 Saint Louis is also the long-awaited appointment by jousters for their final tournament of the year: a real world championship in each of the categories, including the “heavy” one taking place on the Monday of Saint Louis. The festival offers more than 100 traditional ships; dozens of concerts, a flotilla parade of ships, music, dancing, seafood, activities for children – i.e. endless naval celebrations! Sète is also the start of the Canal du Midi and has plenty of sandy beaches nearby and a town/port with plenty of character. The local wine is Picpoul de Pinet which is a dry white which goes well with the local seafood!